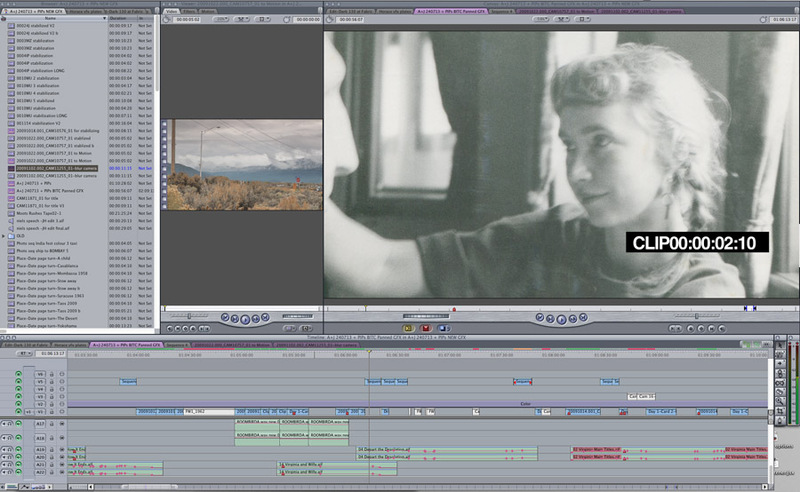 Alfred & Jakobine: Editing is complete! It was over 7 years ago that Director Jonathan Howells first met Alfred Hobbs, and he realised that Alfred and his ex-wife Jakobine, had a story worthy of a feature film. It's been over 4 years since we filmed his crossing of America in the old taxi with Niels. So it is with huge excitement (and a little bit of disbelief) that we can tell you the final edit of Alfred & Jakobine is now (wait for it) complete! And we are very, very proud of it (yes, the film has returned to it's original title). Let's rewind a bit. As is clear with the making of our film - getting independent documentary films completed can take a very long time! Part of the reason it has taken us so long was the hunt for funding to finish it properly. All the support from those of your who participated in our "buy-a-mile" program (thanks to all of you) helped Alfred restore the taxi and make the journey, but we needed more to finish the film in a manner that would do the story justice. In a previous update we mentioned that Jonathan had attended the 2012 Sheffield Doc Fest's "Meet Market" where he completed 20 pitches in 2 days, to some of the world's biggest players in Documentary commissioning and funding. One of the very last pitches was to Film Agency Wales (FAW), and it was FAW and Cat Cooper from Wales based Elfin Productions who came through for us to help complete the package. During the editing process we talked a lot about the story, the characters, the balance of the past and present, the archives, the modern footage and Jakobine's travel journals which would ultimately become a critical element - giving us unique insights into the depths of the love affair. Balancing all of those elements was no small task - but then, little by little, the film started to emerge. Paul did a truly exceptional job of finding the story within the story - the emotional pulse that was within moments and between moments, and then balancing them all with sensitivity and drama. 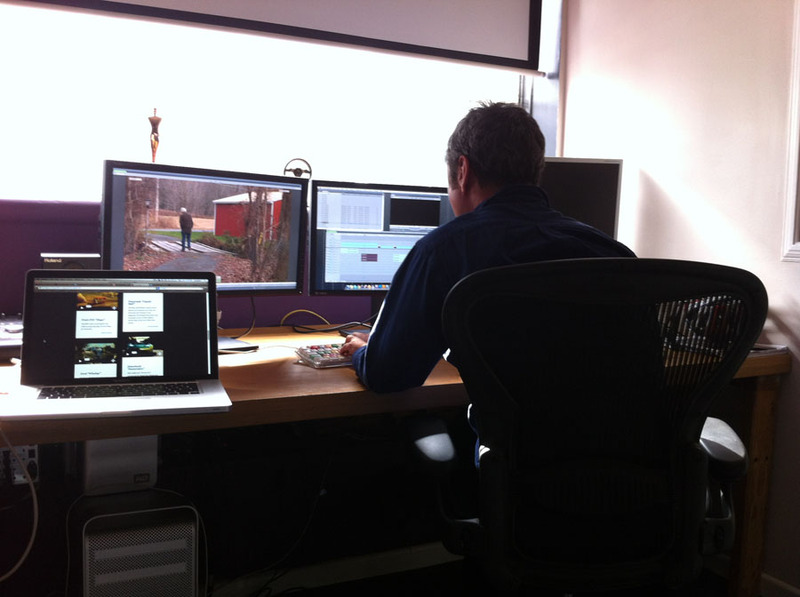 It wasn't easy, the editing of any documentary film requires a lot of exploration and experimentation. Going down some paths that prove to be dead ends, and then finding others that were invisible at first. We knew where we needed to get, but it took us some time to get there. But when we did , we all knew it. We could feel it. So, big thanks to Paul Carlin, for his amazing editing, and also to our Executive Producer/Co-Director Tom Roberts who was pivotal in helping us through some challenging stages with the story telling. Last but not least - thanks to our Producer, Rob Fletcher, for his patience and support during the whole process... We're really proud of our collective efforts. So the edit is done, but the film is not quite finished. There are a few critical stages still to come. First, the film's score, then the final colour grading and sound mix. As many of you know, you watch a film with your eyes, but to a large extent you feel a film with your ears. We hope the music and sound design for Alfred & Jakobine will take it to the next level. For our score, we are very lucky and honoured to have the talented Nick Urata on board. Nick is one of the founding members of the band Devotchka, and also has become a formidable film composer in recent years, having scored Little Miss Sunshine, I love you Philip Morris, Virginia, among many others. And for our grading and sound, we are delighted to be working with London-based Creativity Media. Tune in next time for news on a test screening of the finished edit that we have planned - with a real audience. Gulp!